restorations are available in the below alloy options. 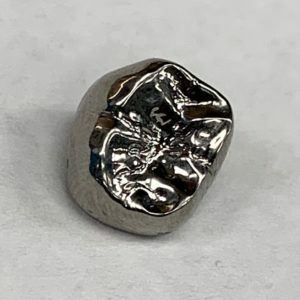 Unlike full cast crowns, which are waxed to shape and subsequently cast with the dental alloy of your choice using the lost wax technique, the full titanium crowns are milled from a solid disc. Our milled titanium crowns are made from Ti-6Al-4V (TC4) medical grade alloy. They are lightweight and biocompatible.